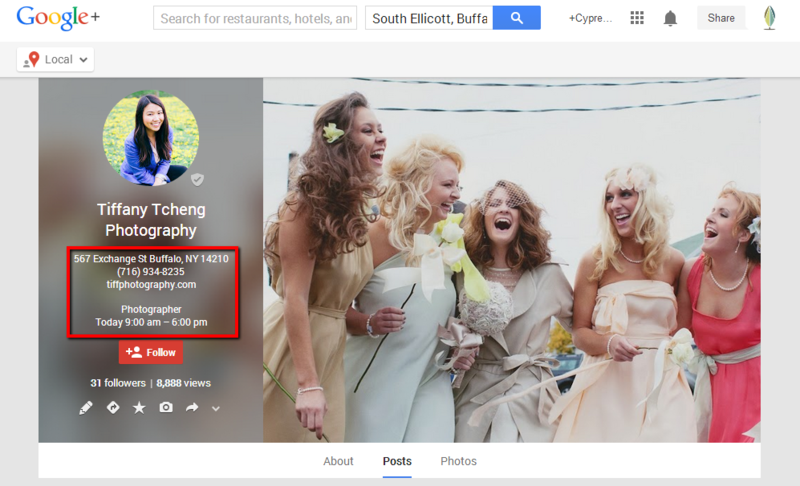 The time has come — Google is finally allowing users with Google+ Business Pages to connect the page with the Google+ local listing (also known as Google Places) on Google Maps. Confused already? Yeah, us, too. But we’ll save that venting for another time. 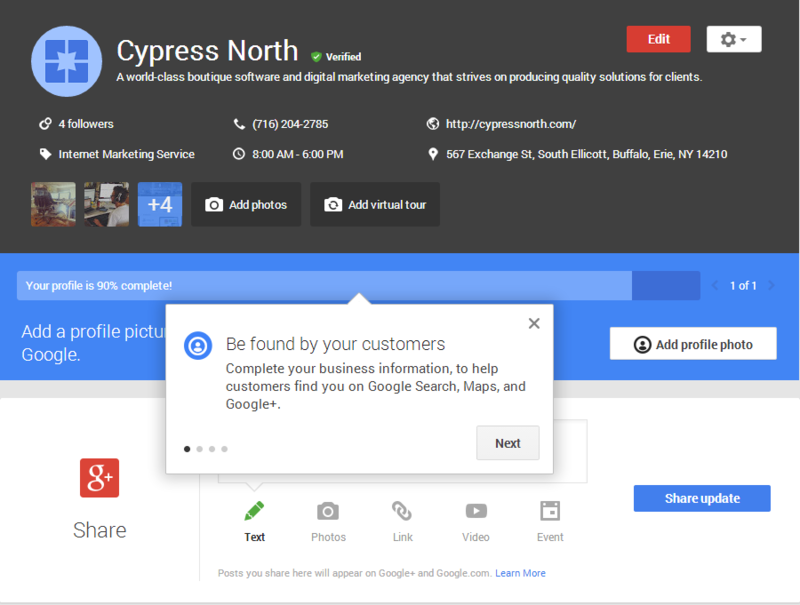 Today we want to focus on helping you consolidate two of your Google+ pages (one business page, one listing page) into a single, unified presence. First, let’s start with the differences between the two pages. They look nearly identical; however, the local listing (on the right in the screenshot below) has a verification icon next to the logo. 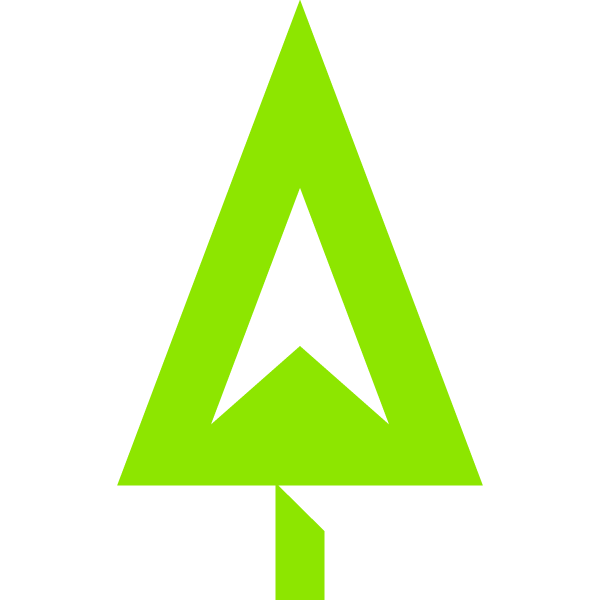 If you hover over the icon, you’ll see that it represents a “Verified local business”. The local listing also contains information such as: address, phone number, hours of operation, category/service, and a row of options at the bottom that allow you to leave reviews, get directions, etc. To start this process, navigate to your local page. I call this point out because if you are trying to transfer ownership to a new person, that person must be a manager of the page for at least two weeks before ownership can be transferred. At the top left of the screen, hover over “My Business,” then click on “Settings” in the drop down menu. This will bring up a pop-up window that will tell you where (location) and what (page) the local listing is currently connected to. 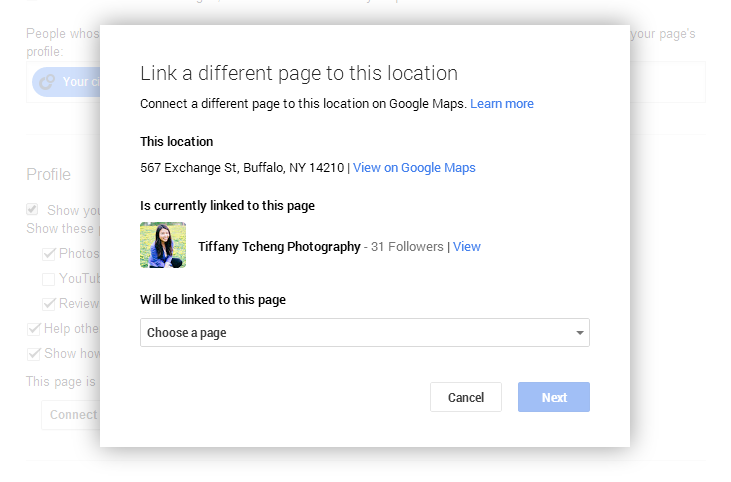 If you see a notice that says “You do not have any non-local pages,” as in the screenshot below, this is likely due to the fact that you are not the owner of both the Google+ Business Page AND the local listing. 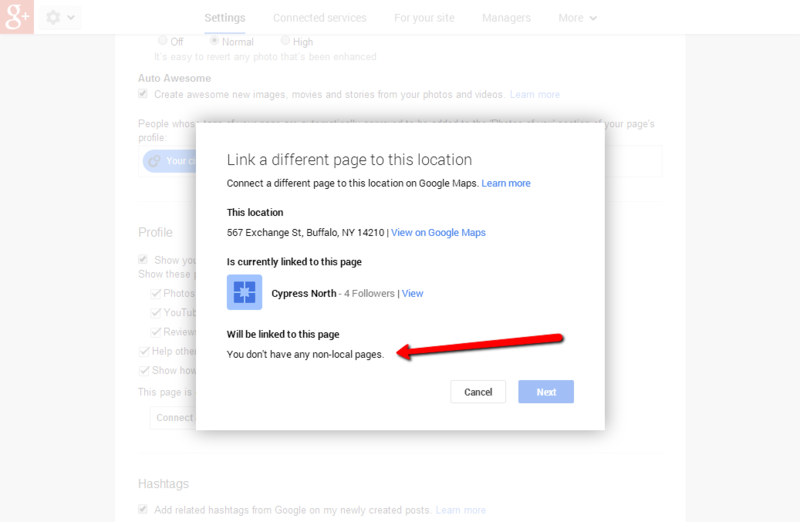 If you ARE the owner of both pages, you will see an option to “Choose a page” that the local listing will be linked to. In the screenshot below, I was able to successfully connect my business page and local listing because I am the owner of both. 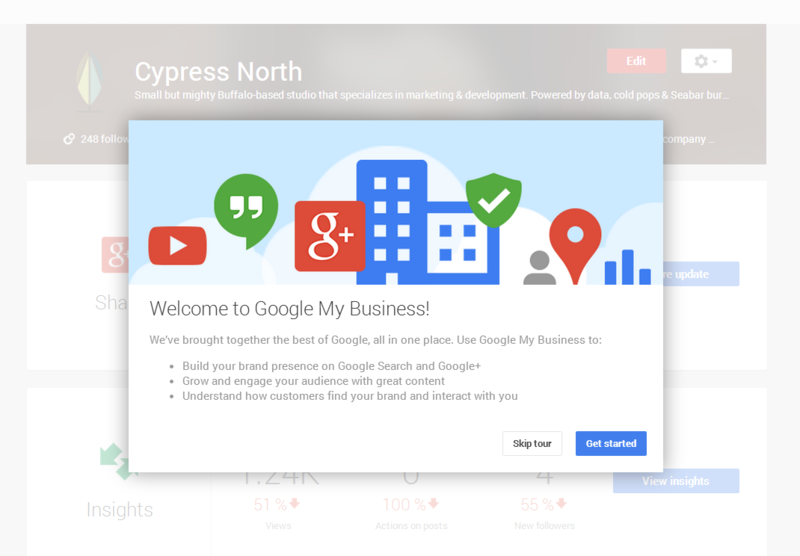 Select the Google+ business page from the drop down menu and click “Next.” There will be some “are you sure” questions on the following screen. Answer them and continue. If/when you have successfully completed the process, the page and the local listing will become one, which you can see below. Your old page will become a “backup” copy, which you can decide what you want to do with. 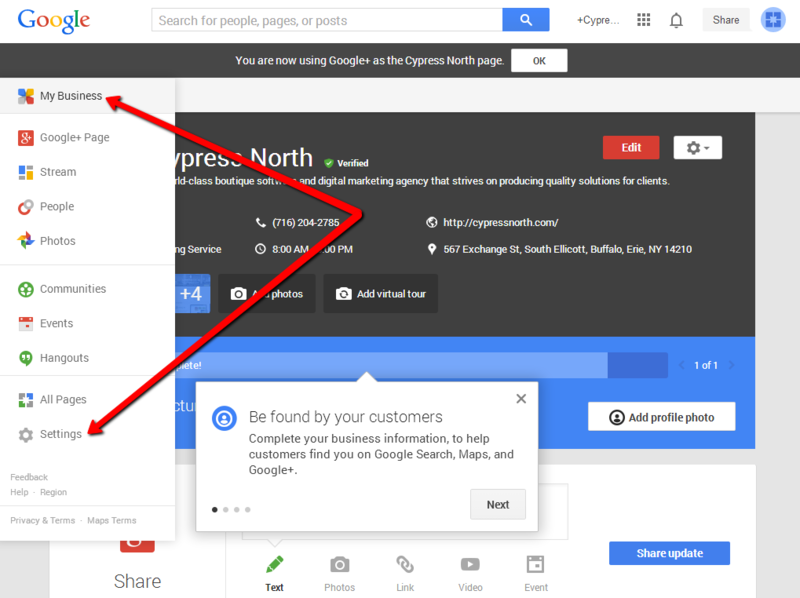 There you have it, our step-by-step tutorial on how to connect your Google+ page presences. If you liked this post, well, we know you’ve got an account, so why don’t you follow us on Google+? Or on Twitter, Instagram, or Facebook, of course. If you found this post helpful, please feel free to share it! If you have other tips or insights to share with other readers, please leave a comment below. You may be able to save others valuable time and frustration, and we sincerely appreciate the community contribution.